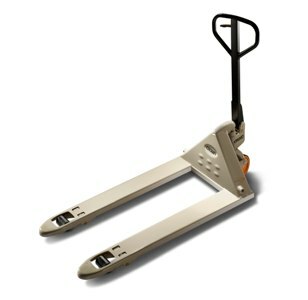 No warehouse or stockroom is complete without a Manual Pallet Jack. 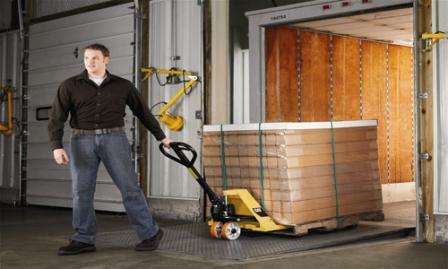 Get one you rely on for years to come from Naumann/Hobbs. 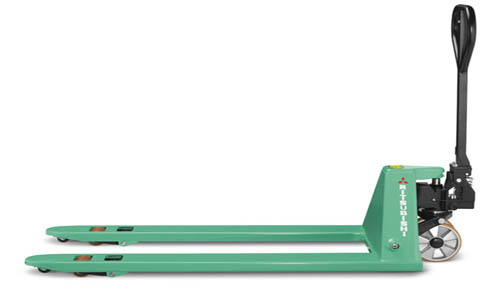 We carry a full line of Manual Pallet Jacks to meet your needs, ideal for moving heavy loads short distances in your warehouse. 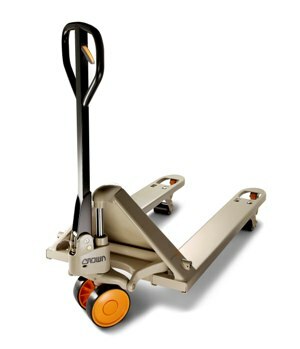 Maximize productivity with our Manual Pallet Jacks, complete with top-of-the-line features like ergonomic handles, articulated steer axle designs, and fork design features to prevent twisting during moves. The steel frames will help maintain strength during touch applications for years. Brands and products vary by location. Call us today at (866) 266-2244 to learn more, and to have one of our warehouse specialists come to your location and assess your specific needs.